Isaac Adeyinka, co-principal investigator in Nigeria introduces himself and his work. This is one of a series of portraits of key people in the Africa Chicken Genetic Gains (ACGG) project. I was born 54 years ago. I attended the University of Ibadan where I graduated with BSc in 1984 and MSc in 1986. I later obtained a PhD in animal breeding and genetics at Ahmadu Bello University, Zaria, Nigeria. I have worked as a researcher with the National Animal Production Research Institute, Ahmadu Bello University, Zaria since 1989. 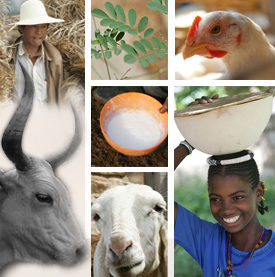 I am currently professor in the Department of Animal Science, Faculty of Agriculture. I have also served as visiting fellow with Massey University, Palmerston North, New Zealand and as a Mashav scholar with Hebrew University of Jerusalem. I am Fulbright Scholar of the United States of America. I was also recently a guest of the Bill & Melinda Gates Foundation at the Grand Challenges meeting in Rio de Janeiro, Brazil. What is your function and what are you currently working to accomplish in ACGG? 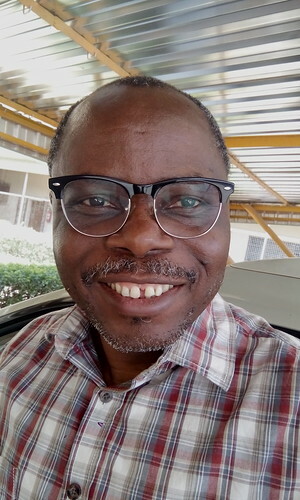 I have been a country team member for ACGG-Nigeria since its inception and I am currently a co-principal investigator (co-PI) with prof Adebambo Olufunmilayo. I am involved in organizing the programs and its objectives in the country and I am also involved in day-to-day running of the project working with the national and sub-national project coordinators and our field officers. I am also involved in training the data gathering team on the use of Open Data Kit (ODK) etc. What is the next piece of work you are focusing on right now within and perhaps also outside ACGG? The Nigerian team is about to start on-station and on farm tests of genetic materials that will imported. I will be involved in data collection and analysis. I am also involved in the innovation platform meetings. I will soon also embark on another journey to improve my professional life by going back to school to learn more on the recent advances in biostatistics. Why does this project matter and what gets you excited about it? This project matters so much to me because I believe it is going to be a vehicle for improving the life of Nigerian women and children. We can use the products coming from this project to drive the development of rural people and reduce poverty levels of Nigerian families. What about the project causes you some concern and how could these be addressed? External factors that can hinder the success of the project include unstable policies in Nigeria. For example the financial policies of Nigeria which recently affected how funds are released for the project. What do you foresee as the lasting impact of ACGG? I see an eventual liberation of Nigerian women from poverty through the successes of this project. Tags: Isaac Adeyinka, voices. Bookmark the permalink. This is a nice submission in respect of ACGG-Nigeria as all hands are on deck to ensure that the goals of the project and the aspirations of the donors are realized, thereby enhancing income opportunities for the rural poor.